Tamwood has a campus at Whistler, the host mountain resort of the 2010 Olympics. It has the highest lift-serviced vertical and the largest terrain of any ski area in North America with 200+ ski/snowboard runs, 38 lifets and 8 parks and pipes. The Tamwood campus has an amazing location in the main Village Square of Whistler, only 300 steps away from the gondolas. Tamwood also offers homestay programs, student residences and arranges for an array of activities to assist you with settling in Whistler! Tamwood assigns all students to a calls based on their level and works with them to customize a learning plan according to their learning goals. Students can chose from 15, 20 and 25 hours a week of instruction and class time. In winter, many students combine English with skiing and snowboarding or do the English + ski instructor or English + Snowboard instructor course. We can customize any course for individuals or groups. Contact us at <a href="mailto:[email protected]">[email protected]</a> to get a quote. Learn English, and snowboarding. We can both in here! I come from a similar place but I found here something that I can’t explain… Since the day that I arrived, I knew that one month and a half will be very short, and that’s what’s happening right now, one week before leaving. The only thing that I’m thinking about is how I can come back again? Thanks for the review! It sounds like a bittersweet stay. Perhaps you can consider extending? And if not, visiting us again when you are able to. We hope you make the most of your final week and continue to practice your newfound English skills. My first day in a school, the cute schools dog welcomed me. Students are less than I thought. My classmates were only 6 students and sometimes the classroom was very quiet. But they are so kind and friendly. I got friends soon. We went to the lake, ice skating, farmers market and escape room! I think this school has a lot of different country students.So I could know different cultures. It was short while,but I really appreciate teachers and friends! Thanks for the review! With class sizes in Whistler being smaller, we find that we are able to really give 110% of our efforts to helping our students learn more. We hope you've been able to improve your skills and at the same time, explore beautiful British Columbia. Hope you cross paths again in the near future with us! I'v spend in here three months. i could have a lot of friend and experience. I i had great time in whistler and teacher was very kind and friendlly. Also I leaned a lot of vocabulary and grammar at Tamwood whistler school. when you thinking go to language school ,I will definitely recommend it. I'm going to continue to study English for improving my english level and I'll go back Tomwood. Thanks for the review! In your time with us, we've definitely witnessed a lot of improvement. We hope that you continue to practice the English skills you've learned on an everyday basis so that you continue to improve further! It was a pleasure having you with us and we look forward to seeing you again in the near future! The school is a nice place to study English and to meet people from all around the world. 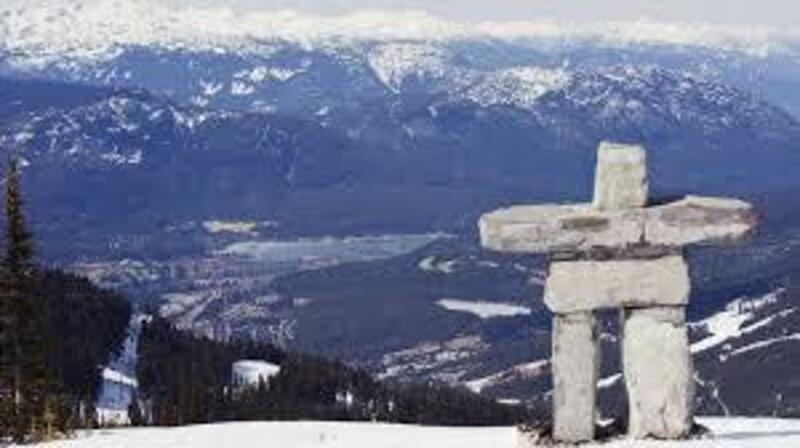 It is situated in the Whistler village and it's easy to access by bus, by bike or on foot. The teachers are really well-meaning and I enjoy learning something with them. Tamwood suggests you do lots of different activities. Thanks for your feedback! We hope you've learned a lot in your time with us and got the full Whistler experience by participating in Tamwood's activities. Hope you and our staff cross paths again in the future!